In the early hours on the third day of the 2018 RORC Caribbean 600, Paradox, Peter Aschenbrenner’s American 63’ Trimaran crossed the finish line in Antigua completing the 600-mile race in an elapsed time of 1 day, 13 hours 5 minutes and 16 seconds taking Multihull Line Honours. George David’s American Maxi Rambler 88 crossed the finish line just under half an hour later to take Monohull Line Honours and to set a new monohull race record of 1 day 13 hours 41 minutes and 45 seconds. Rambler 88 eclipsed the time set by Rambler 100 in 2011 by nearly two and a half hours. "It was a hard race with good strong trades ; 20-25 knots the whole way around the track. The whole boat was loaded up and we had to take extreme care," commented Rambler 88 owner George David. "We sailed a good race and didn’t leave much out there. Nobody got hurt and we didn’t break anything, all of which is good. Why did we beat the record ? I think it might come down to evolution in design. Six years ago the conditions were similar, yet we are two and a half hours ahead of a 100ft boat. Boats just go faster ; we made some modifications over the winter to Rambler 88. We draw 7 metres now and we took a ton and a half of displacement out of the boat. Its lighter and livelier and gets up and going quick. I want to thank the RORC and the people locally who are extremely welcoming. It is a nice place to come." "The ride down from Tintamarre to Guadeloupe was at night, very fast, very wet and very intense," commented Paradox owner, Peter Aschenbrenner. "All-in-all, the conditions were just perfect for Paradox she loved it. This is what we dream about doing in the boat, and the combination of cruising the boat for two weeks before the race gives that great juxtaposition (hence the name Paradox). 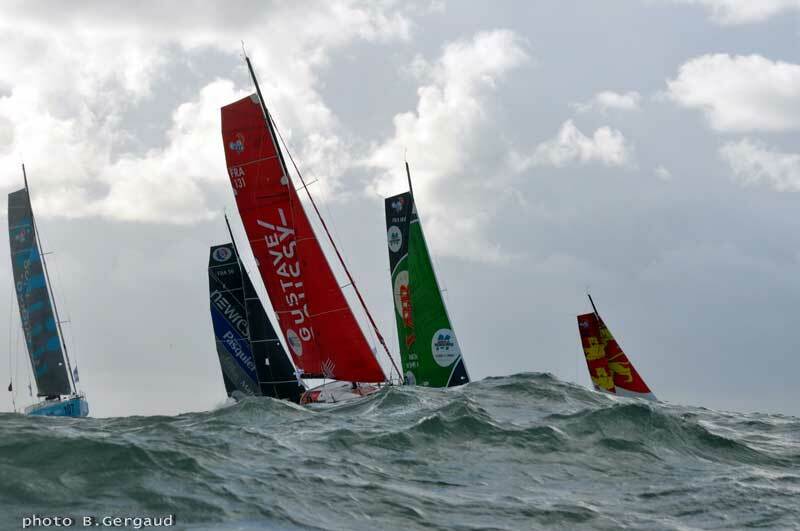 The conditions we had in those big reaches was intense ; the wave state was really big and there was a lot of wind. When you hit the wave crest with the cross-beam at 30 knots, it makes a kind-of explosive sound ; the boat is moving around a lot and there is spray everywhere. Eleven is a great fleet of multihulls, and this is a great place to race them ; you are going to be wet and it might as well be warm. It is a combination of great wind and great scenery, it is a wonderful course." The USMMA Sailing Foundation’s American Volvo 70 Warrior, skippered by Steve Murray, finished the race shortly after dawn, just four hours after Rambler 88. "Mr. Toad’s wild ride ! A lot of fun and what the boat was made for. It’s a great boat, but an incredible team. We have been sailing together since our first race, the Antigua to Bermuda Race and we have really jelled as a team, anticipating each other’s moves. Good boat handling on this boat is impressive to watch."